Malarkey Roofing Products unveiled a new website design the beginning of November that focuses on ease of use paired with icon based navigation. The new look comes on the heels of multiple product additions from the company this summer, including the new Windsor heavyweight designer shingle as well as an expanded low slope roll roofing product line. These new product additions are now seamlessly integrated into the web design with easy access to product resources. Among the updates to the Malarkey website are the incorporation of icon images with familiar features from the previous website, including areas tailored to both homeowners and roofing professionals. Quick navigation buttons on the homepage allow users one-click access to the shingle design center and purchase locations, as well as recent news and events. Industry professionals will notice low slope product information can be found as both individual product listings as well as system requirements, to allow for easy access to information to fit individual workflows. The warranty center has also seen an update with a streamlined submission process. GAF is excited to announce the inclusion of a national television commercial highlighting GAF Master Elite Contractors as well as GAF Premier Roofing Dealers and Pro-Grade Master Distributors during the Feb. 19 episode of the top-rated show, Duck Dynasty. Airing on A&E on Wednesdays at 10 p.m. EST, Duck Dynasty is a record-breaking reality show that follows the lives of the Robertson family, who run a family-operated duck call business, Duck Commander. The show has broken several ratings records—last season’s premiere drew 11.8 million viewers, making Duck Dynasty the most-watched nonfiction cable series in history. The Center PV Taskforce is releasing the first public draft of PV Racking and Attachment Criteria for Effective Asphalt Shingle Roof System Integration for an initial round of public comment. The first draft has been prepared by the PV Taskforce. The Center PV Taskforce will accept public comments until 8 p.m. EST on Friday, Feb. 14, 2014. The document is intended to enhance collaboration between key stakeholders from the solar and roofing industries, and accelerate the deployment of rooftop-integrated solar. Members of the solar industry and other interested parties are encouraged to submit comments and engage the Taskforce in future stakeholder discussions. Taskforce members also will accept comments from the at-large community and consider those comments within internal stakeholder discussions. 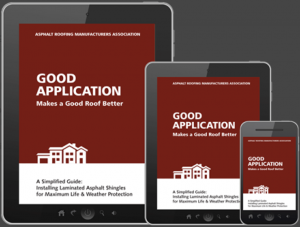 Download a copy of PV Racking and Attachment Criteria for Effective Asphalt Shingle Roof System Integration. All comments shall be submitted no later than 8 p.m. EST, Friday, Feb. 14, 2014. All comments shall be submitted using the Center PV Taskforce online survey form. Additional details can be found on the first page of the criteria document. If you have questions, please contact James Kirby, (202) 380-3371.